Just a few years ago, if you wanted a supercar with four doors, you could only opt for a certain German sedan. It wasn’t a proper supercar; it was more like a luxury sedan on steroids. 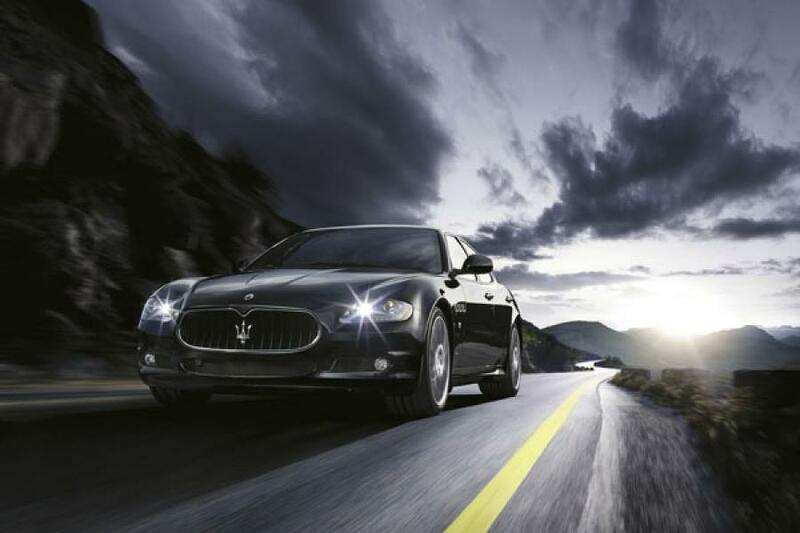 But all that ended when Maserati, the Italian supercar maker, decided to make the Quattroporte, again. The first one was back in 1963, a time when Maserati was altogether more successful. The Quattroporte (meaning ‘four doors’ in Italian) was launched as a grand tourer, and was designed specifically as a performance sedan capable of doing 200 kmph. This Maserati boasted of a 4.1-litre V8 engine that produced 256PS, and had a claimed top speed of 230 kmph. The car that you see on this page, however, is the current Quattroporte, the fifth generation of the car that was launched in 2004 and then comprehensively refreshed in 2009 — which is when the Quattroporte Sport GT S was launched. It is the car that led other manufacturers to think about four-door supercars. On my flight to China to drive the Maseratis, I watched the Jason Statham-starrer The Mechanic. In the very first scene, a drug lord who Statham is supposed to kill is chauffeured in the current Maserati Quattroporte. One look at the car and I knew it was Italian. There isn’t anything extraordinary in the styling itself, but the flowing lines give it the sense of being a supercar that you carry your family in. But can its four-door format and overall styling escape what you might label the drudgery of the sedan? Its low stance, coupled with the sporty, aggressive front-end and the large wheels quickly demolish any sedan-ness and lend it a sharper, swifter aura. The front grille boasts the Gran Turismo-derived inward curving black vertical slats with the three-pronged Maserati logo, coupled with the LED-lined headlights. The sides sport trademark Maserati slots, apart from which they are smooth and free of fussy-detail. The rear boasts a set of large LED tail lamps while more sporty character comes from the exhaust tips that adorn the edges of the bumper. Without doubt, the Quattroporte is the most gorgeous four-door car on the planet in my opinion. In comparison, rivals such as the Porsche Panamera, Jaguar XF, Audi A8 W12 and the Ferrari FF can only try to look svelte. Once inside the car, you will be forced to hold your breath. It’s a well-made cabin that boasts exquisite hand-crafted luxury, cast in Italian leather and wood. Under the hood is a 4.7-litre V8 borrowed from the Gran Turismo and made by Ferrari. The vehicle boasts a peak power output of 444 PS at 7,000 rpm (revolutions per minute), while peak torque produced is 490 Nm at 4750 rpm. The most memorable experience while driving the Quattroporte Sport GT S was its ultra-smooth transition — from being a mildly purring cat to a ferocious beast hunting down its prey.